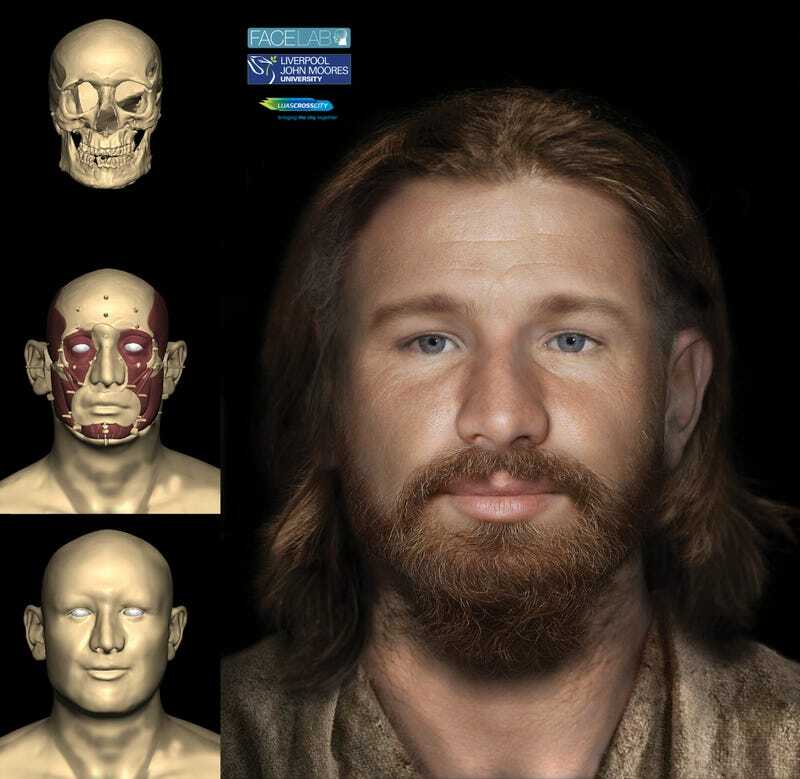 Researchers at Liverpool John Moore’s University have reconstructed the face of a man who lived in Dublin some 500 years ago. Incredibly accurate reconstructions like this are providing archaeologists with new way of studying the past — while also allowing them to visualise some of the most forgotten figures in history. 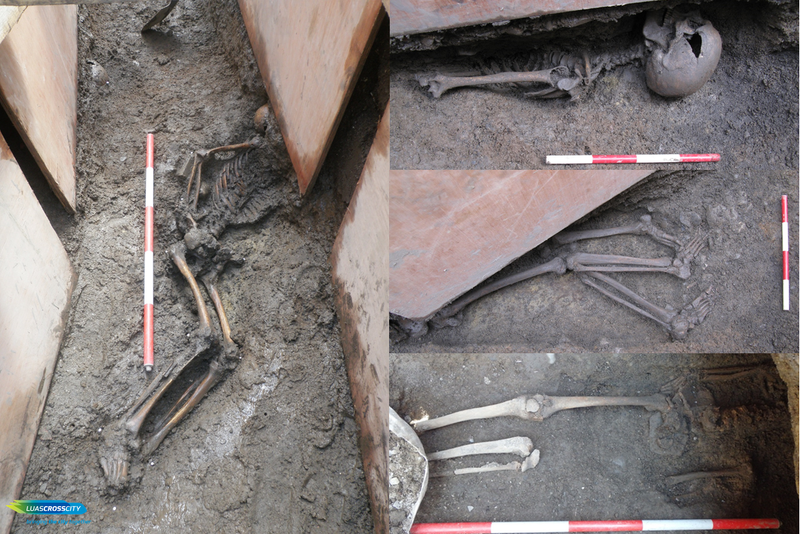 Known only as SK2, the remains of this man were found in 2014 by archaeologists from Rubicon Heritage and Transport Infrastructure Ireland. He was one of five skeletons pulled from a construction site near the entrance of Trinity College in Dublin, Ireland. At first, the archaeologists figured the remains were either Vikings or Norsemen, but further analysis suggests the skeletons date back to Tudor Ireland, a period that ran from 1485 to 1603. The skull of SK2 was in excellent shape, prompting a 3D digital facial reconstruction. The work was carried out by Caroline Wilkinson and her team from Liverpool John Moore’s University’s Face Lab. This is the same team that has performed facial reconstructions of Richard III, Robert the Bruce, and several other historical figures. But unlike these historical bigshots, SK2 was a relative nobody — an individual who came from the lower end of the socioeconomic spectrum. Indeed, this latest facial reconstruction, like the one done of an ordinary man who lived in England 700 years ago, is providing archaeologists with a novel way of studying a portion of the population that rarely gets mentioned in historical documentation or through art — the very poor. Typically, it’s only the rich and famous that get to be remembered. To build the face of SK2, Wilkinson’s team first created a 3D scan of the skull, which formed the basis of the reconstruction. Using well-established marker points from forensic science and specialised software, the researchers were able to lay down the critical facial components, namely facial muscles, soft tissue, and skin. The rest was guesswork — but informed guesswork. Skeletal analysis suggests the man was between 25 to 35 years of age when he died, he measured 5'6" in height, he suffered from childhood malnutrition, and he performed heavy manual labour during his life. Isotopic analysis of his teeth indicate he hailed from Dublin, where he was subsequently buried. His remains, along with those of four adolescents, were located in place that used to be known as Hoggen Green — an open area that was controlled by the municipality of Dublin. Their graves were shallow, and none of the bodies were placed in a coffin. Based on these findings, and a review of illustrations made of 16th century Irish people, Wilkinson’s team adjusted SK2's face to match. They endowed him with long hair, a beard, and typical Irish features such as fair skin, blue eyes, and brown hair. They even gave him bland, simple clothing to match his social status. This may not be a perfect representation of SK2's mug, but perfection isn’t the point. By pooling all of the scientific and historical evidence together, and by using cutting edge computer technology, the researchers have done something that, until recently, we’ve never been able to do before — create a photo-like impression of a common person who lived centuries ago.